Can't believe I'm standing on staircase made from ice! I actually wrote a super long post quite some time ago but my browser crashed and everything was gone! So here am I writing again to tell you one of my most unforgettable trip after 2 months missing from my blog. So much things happened and I can't wait to tell you guys more! 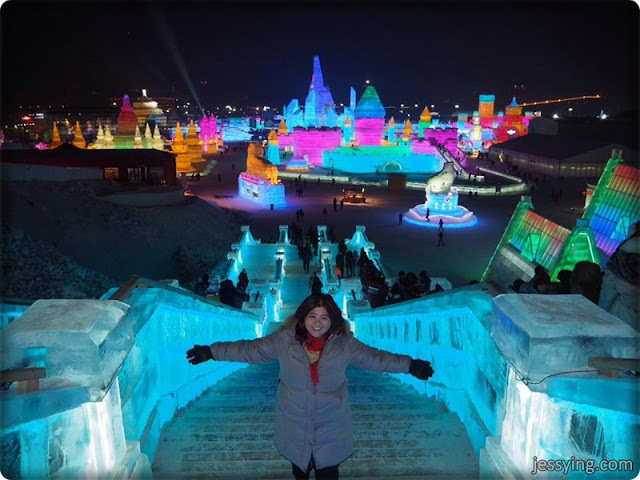 It has been my dream so many many years to go China to see Harbin International Ice and Snow Sculpture Festival. I have always love winter but Harbin's weather is another level! I was so happy that I finally made it to the 18th Harbin International Ice and Snow Sculpture Festival Grand Opening on 6 January 2017. The entrance ticket is really expensive. Official selling price is CNY 330 (RM209) and if you buy through any travel agency in Harbin town it's only CNY 310 (RM196) including return transportation. 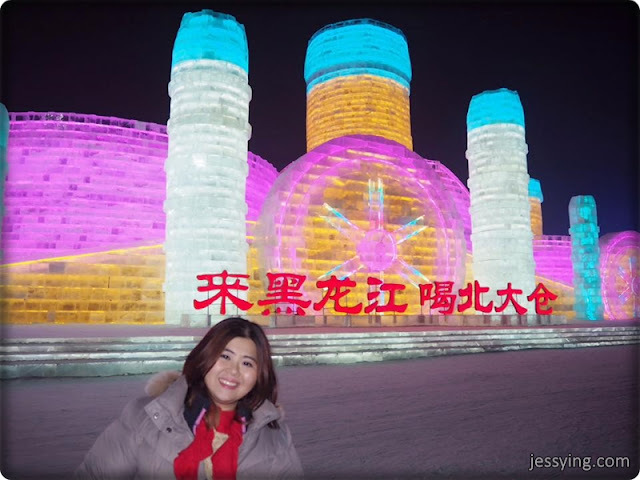 Will share about the details of Harbin-China Ice-Snow World later on in another blog post. Most people asked me how do I get to Harbin from Malaysia. There is no direct flight from Malaysia to Harbin. I chose the cheapest way to get to Harbin via Beijing. So I fly in to Beijing and take a train directly to Harbin. The fastest and most expensive way of course is to fly in to Harbin from Beijing airport. The fastest train to Harbin from Beijing is about 7 hours but I picked a night train which is 11 hours because I do not want to waste my day time taking train. 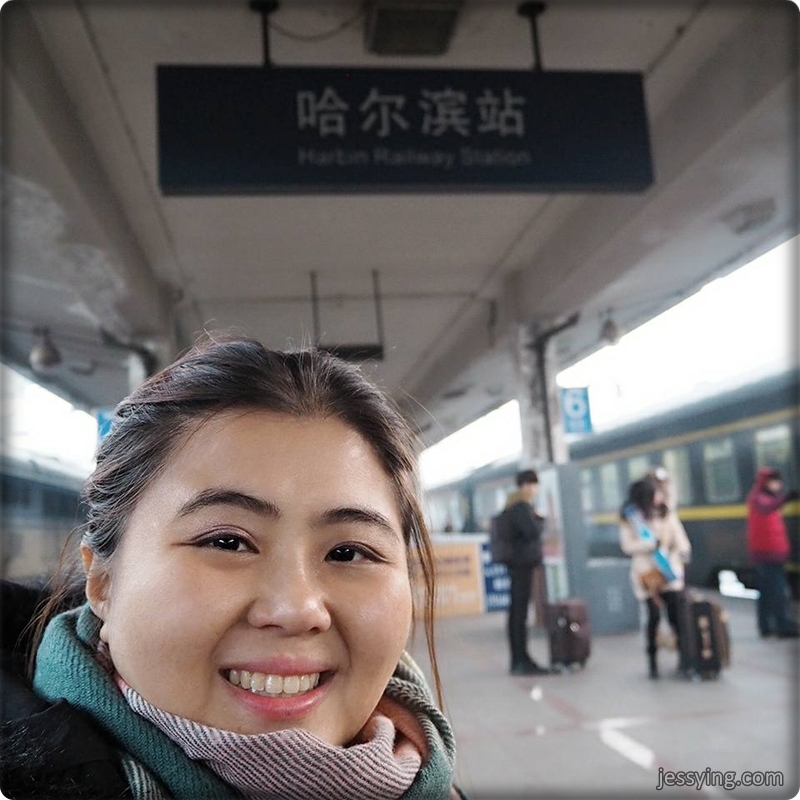 Upon arriving Beijing I went to Beijing Railway Station right away to buy night train ticket to Harbin. 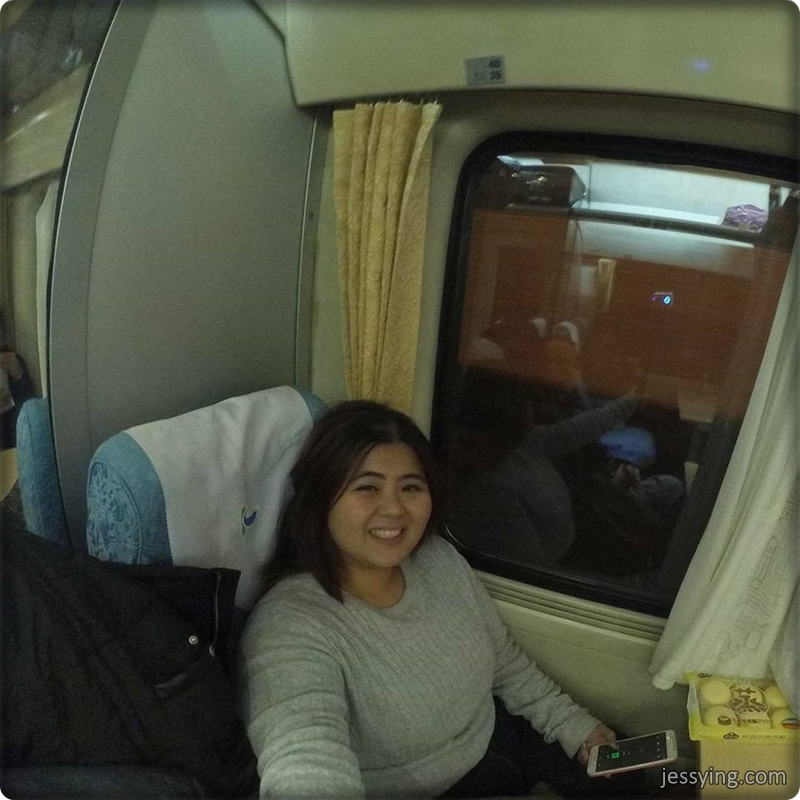 I found out later on, I could book the train ticket in advance via Ctrip app for a small fee. And I have successfully booked a return train ride from Harbin to Beijing via Ctrip where I just need to present the voucher at the counter to redeem my train ticket. I bought night ticket to Harbin so that I can save one night accommodation. The ticket price is CNY 241.50 (RM153) for one way. Finally my train arrived at 8.30 pm. Super punctual! Be sure to be early because there are so many coaches and you will need to take some time for you to look before boarding. First look at the train. Clean! Because of our last minute train ticket purchase and it's super peak season, we can't get sleeper on the train and only managed to Soft Seat. Actually it's pretty comfortable and feel like our local ETS. There is also WiFi on the train but needed local sim card & WeChat account to login. Toilet in train also looks pretty clean. After 11 hour train ride, I have arrived in Harbin! OMG so cold...it's -18 Celsius!!!! First look at Harbin city once I get out from train station. Looks like a big city. 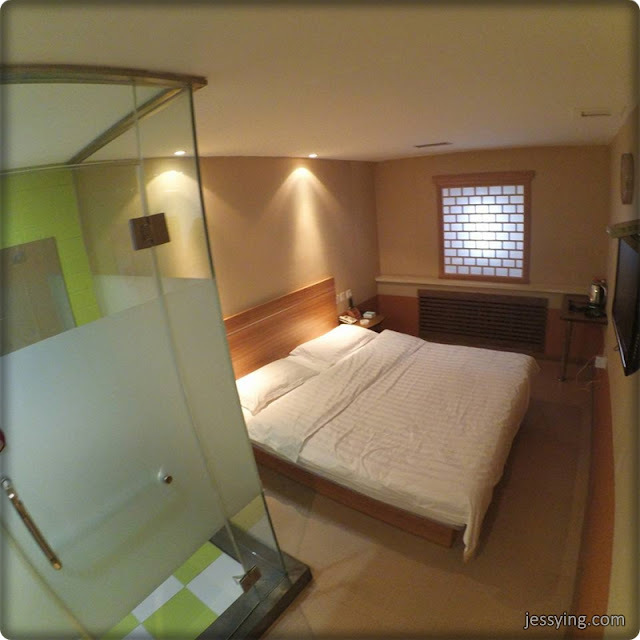 In Harbin I booked my hotel via Ctrip and the room rates are cheaper compared to Agoda & Booking.com. Was glad the hotel allowed early check in.. Hotel looks really decent and great for the price CNY 178 (RM114). It is located near the Central Street in Harbin where all the shops and restaurants located. Most happening area in Harbin. 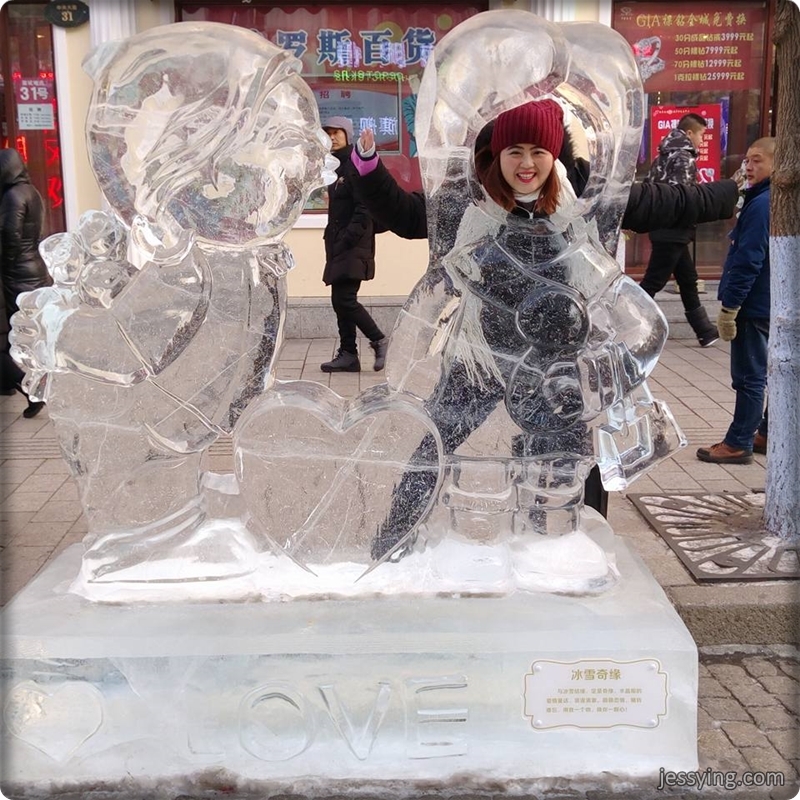 It was so cold in Harbin. You have to be properly dressed so that you don't catch the cold ; have to pick a really good gloves to keep your body warm. Probably I will share next time how to dress up for winter in Harbin! Hope you love my travel sharing, do leave me a comment if you want to see more of my travel story ya!